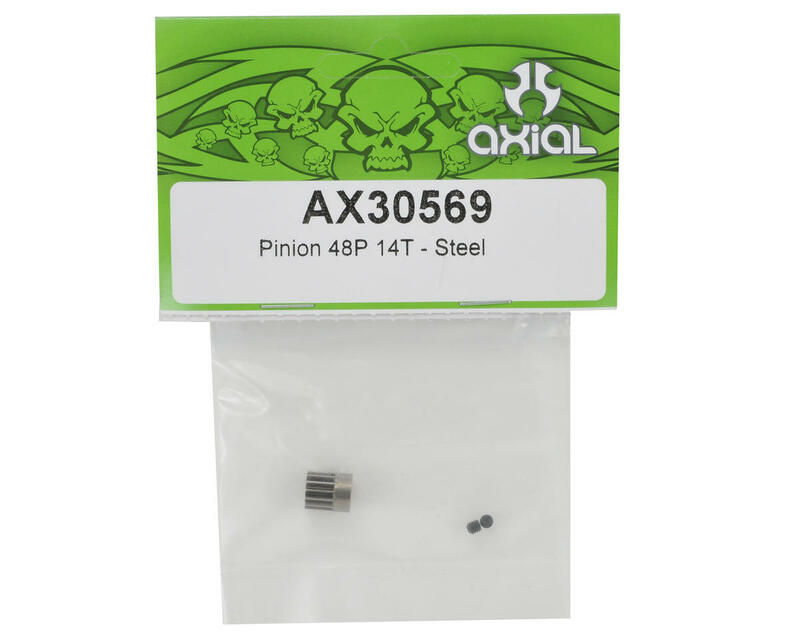 Axial 48 Pitch, Steel Pinion Gear. This gear is compatible with the Axial XR10, AX10, SCX10 and Wraith trucks equipped with 48 pitch gears, and is available in a variety of tooth count options. 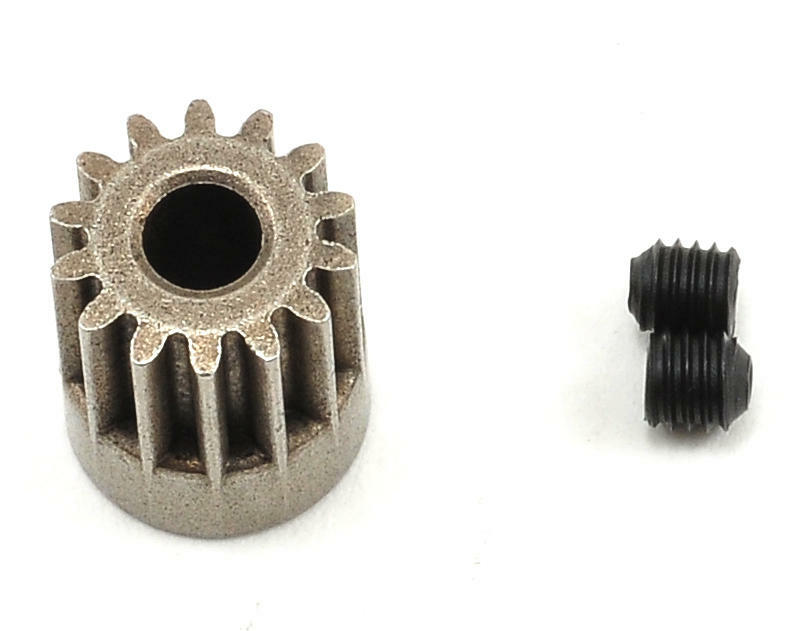 Package includes pinion gear and two set screws.